To be used as a stand alone product. 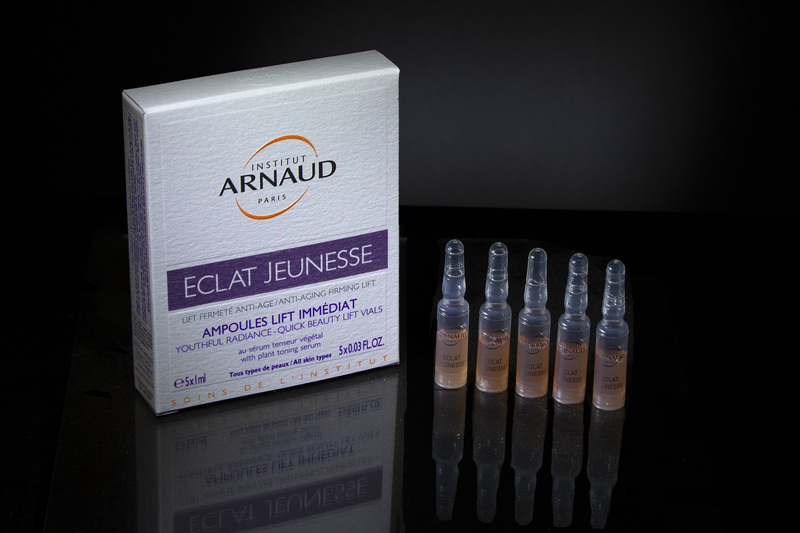 Through an instant tightening effect, this beauty elixir lifts your skin, erases signs of fatigue and tones. Ideal for a quick beauty lift before an evening event or to erase signs of tiredness the next day, this treatment also provides an excellent makeup base and is a good way to set foundation. This product is formulated to create an immediate lifted effect. Skin becomes more hydrated and firmer to the touch. Transforms tired and dull complexions in an instant. Temporary tightening and lifting effect creates the perfect base either with or without make-up. Plant proteins (soy): anti-wrinkle agent with an immediate tightening effect; repairs and tones skin. Stimulating agents (Vitacell): dynamize and tone. For all women looking for an instant beauty pick-up. Ideal before an important evening or to erase signs of fatigue the following day. Can be used daily as part of your normal beauty regime. Use alone or under your day cream. Shake the vial, break the seal and pour the contents into the palm of your hand. Apply on clean moisturised skin by lightly patting onto your face and neck with your fingertips. Use circular movement to work into skin for better absorption. This treatment provides an excellent makeup base. Make up can be worn immediately afterwards. The reclosable top lets you keep the vial up to 72 hours in the refrigerator.